ALBANY, Ga: A recent study published in the journal Nutrition, Health and Aging found the MIND diet, which was specifically developed as a dietary pattern to prevent cognitive decline, can reduce and delay the progression of Parkinson’s disease. Previous research has shown the MIND diet may also reduce the risk of developing Alzheimer’s disease by as much as 53 percent. The MIND diet is a daily eating pattern that combines elements from the heavily researched Mediterranean and DASH (Dietary Approaches to Stop Hypertension) diets. The MIND diet recommends Americans structure their eating around 10 brain-healthy food groups to improve brain function and prevent dementia. The food categories include green leafy vegetables and other vegetables, nuts, berries, beans, whole grains, fish, poultry, olive oil and a small amount of wine a day. I consider the MIND diet very approachable and sustainable because it offers flexibility and variety. For example, you don’t have to eat berries everyday—just twice per week. And, if you’re tired of strawberries, try blueberries, says Dr. Samara Sterling, director of research for The Peanut Institute. To reach the five servings of nuts per week that are recommended, you can have a peanut butter sandwich on whole grain bread or grab a handful of peanuts as a snack. 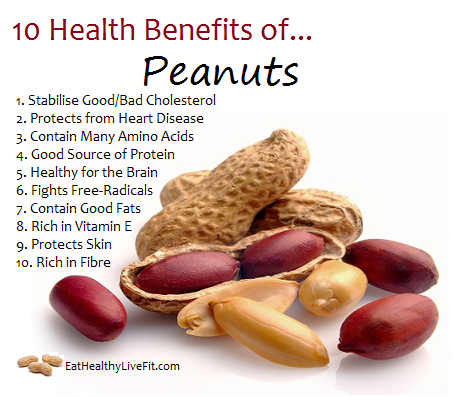 Peanuts are a healthy, convenient and affordable way to hit that MIND target. Peanuts are also a stand-out because they contain high levels of niacin and are a good source of vitamin E – two nutrients that have long been known to protect against Alzheimer’s disease and age-related cognitive decline. Plus, they’re packed with protein and 19 vitamins and minerals, making them a true superfood. To meet the MIND diet guidelines, Dr. Sterling suggests eating a handful of peanuts or two tablespoons of peanut butter almost every day. In addition to the MIND diet recommendations, peanuts are being highlighted in many scientific studies as researchers focus more and more on the impact dietary patterns have on chronic disease prevention. People who eat peanuts regularly have a lower risk of heart disease; and there is growing evidence that the risk of developing Alzheimer’s disease is associated with risk of cardiovascular disease, says Dr. Frank Sacks, professor of cardiovascular disease prevention, department of nutrition, Harvard T.H. Chan School of Public Health. We surmise that peanuts could be an important component of a diet that prevents cognitive decline with aging. That is one reason why we included peanuts in the MIND study. According to Dr. Sterling, the foods that are emphasized in the MIND diet are nutrient-dense and plant-based. Vegetables, whole grains and nuts are filled with vitamins, minerals and antioxidants that are not only beneficial for the brain, but for the entire body as well. So, adherence to the MIND diet can help a person get these and other nutrients in their diet, says Sterling.